The third and final part of this Trail around North Norfolk, takes in two further former USAAF airfields. Being in the more northern reaches of Norfolk, they share similar stories of tragedy and loss. 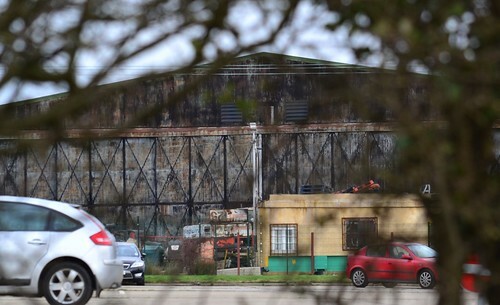 Our first stop is an airfield that lives on – just – and was the home to only one major bomb group. 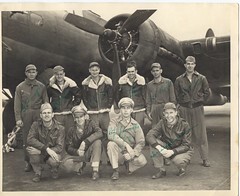 This group led the way for the B-24, they took heavy loses and bore the brunt of B-17 crew jokes. Their loses were so high that unofficially, they became the ‘Jinx Squadron’. 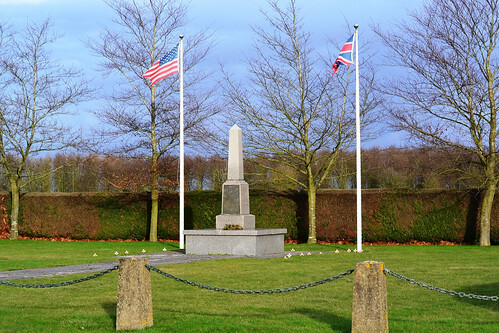 Our first stop is Shipdham home to the ‘Flying Eightballs‘ followed by a short hop to Wendling, the most northerly of the American bases. 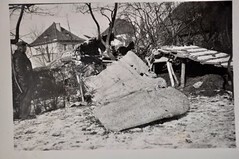 The winter of 1943/44 was one of the worst for the cold, ice and snow. England like most of Europe was snowed in and temperatures dropped dramatically. For the 44th, the new year would not bring any let up, and it started on yet another terrible note. 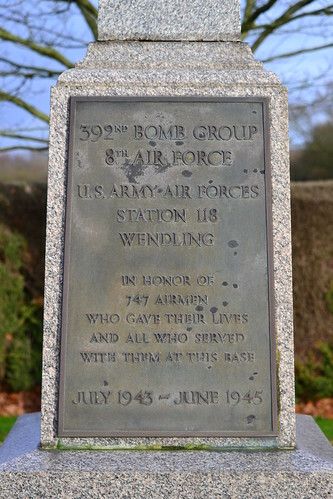 On leaving Shipdham go back to the village and head toward our next stop, RAF Wendling, where the 392nd were cited for their incredible bombing accuracy but losses were high. 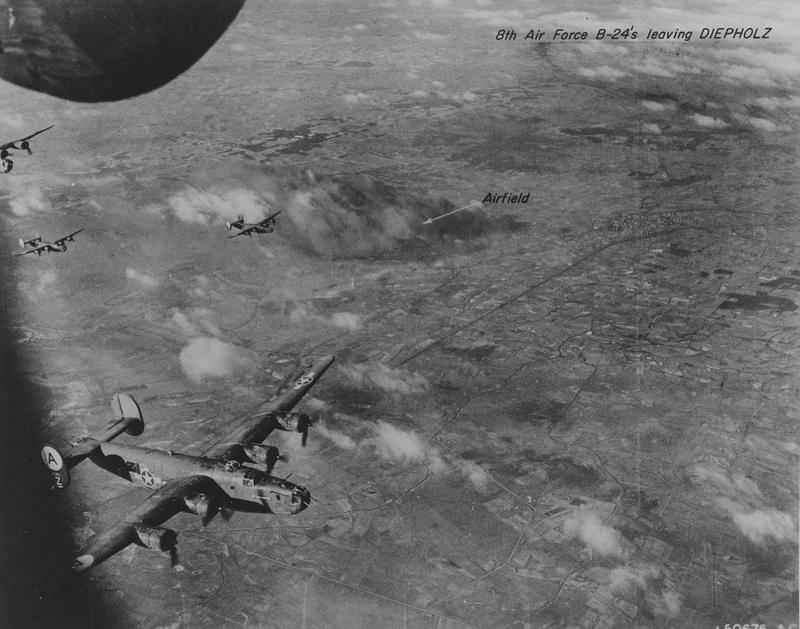 On 15th January 1943, a new bomb Group was formed at Davis-Monthan Field in Arizona, it would be the 392nd BG and would consist of four squadrons: the 576th, 577th, 578th and 579th Bomb Squadrons. 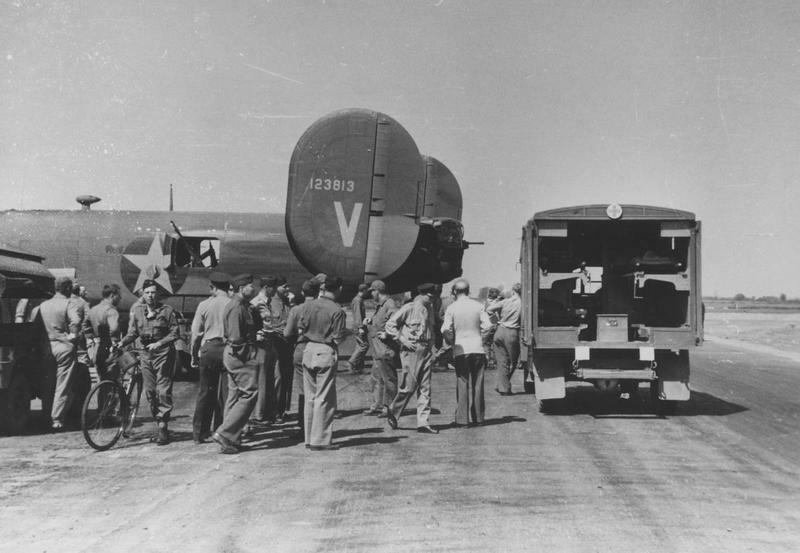 On completion of its training, the 392nd would leave the United States, and fly across the Atlantic to their new base in England. These four squadrons would be the first to operate the newly updated B-24 ‘H’ model ‘Liberators’; an improvement of the previous variants by the addition of a motorised front turret, improved waist gun positions and a new retractable belly turret. The supporting ground echelons had left the United States, sailing on the Queen Elizabeth from New York, much earlier, and before the group had received these newer models. As a result, they had neither received any training, or gained any experience with these new updated variants. The arrival of these new aircraft would therefore be met with some surprise, followed by a steep learning curve supported by additional training programmes. 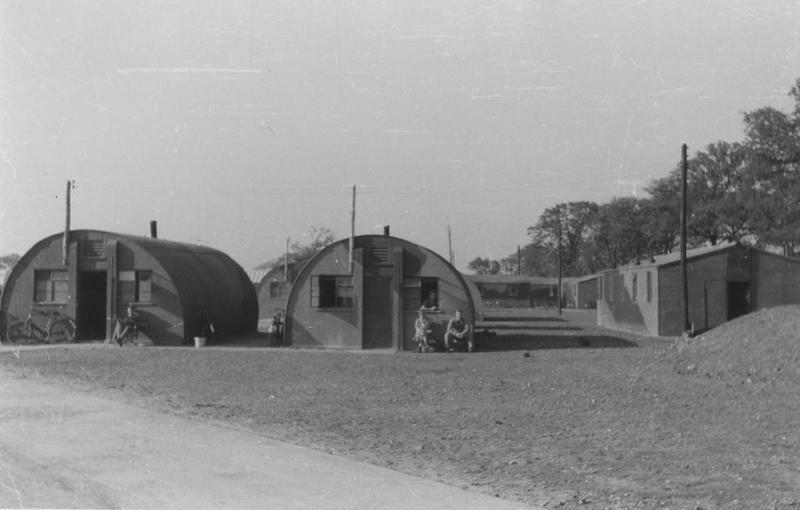 The first B-24s of the 392nd arrived at Wendling, Norfolk, on 15th August 1943, and would soon be joined by the 44th at nearby Shipdham, the 389th at Hethel and the 93rd at Hardwick; four Groups that would be combined to form the Second Bombardment Wing (later 2nd Bombardment Division)*1. Battle hardened from fighting in the Mediterranean Theatre, these other three groups knew only too well the dangers of bombing missions, all having suffered some heavy losses themselves already. 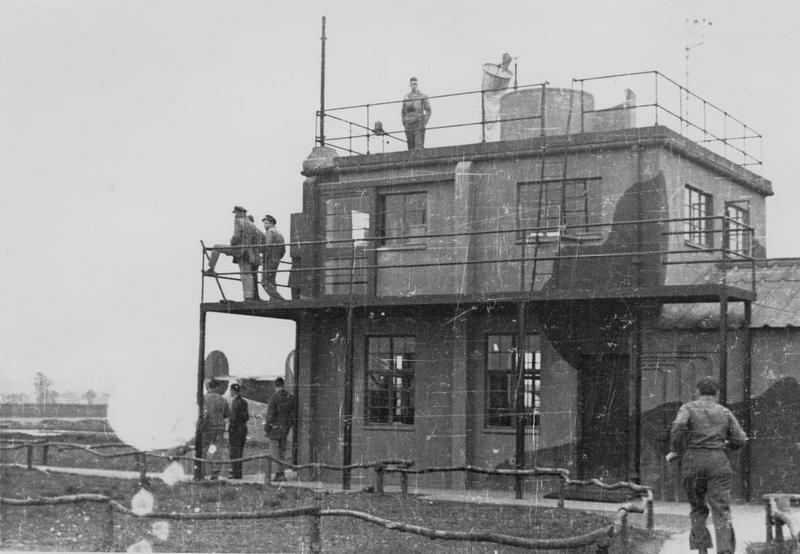 Wendling’s Watch office before it was modified (see below) (IWM FRE 1670). During September 1943, the 392nd joined with these other three units flying missions under Operation ‘Starkey‘; probing German defences and gauging their responses to massed allied attacks on coastal regions. Largely uneventful they went on to undertake diversionary missions over the North Sea, the first three being escorted by fighters, and without incident. 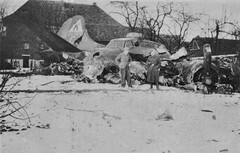 On the fourth however, the fighters were withheld and the bombers struck out alone. On this particular flight, 4th October, 1943, the 392nd would gain their first real taste of war, and it would be an initiation they would rather forget. 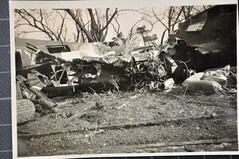 During the battle over thirty Luftwaffe fighters would shoot down four B-24s with the loss of forty-three crew members. 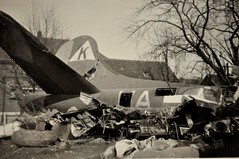 A further eleven were injured in the remaining bombers that managed to continue flying and return home – it was not a good start for the 392nd. Licking its wounds, they would then be combined with more experienced units, flying multiple missions as far as the Baltic regions before returning to diversionary raids again later that month. 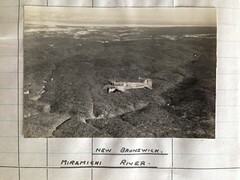 Viewed with some misgivings by crews, these ‘H’ model Liberators were soon found to be heavier, slower and less responsive at the higher altitudes these deeper missions were flown at. 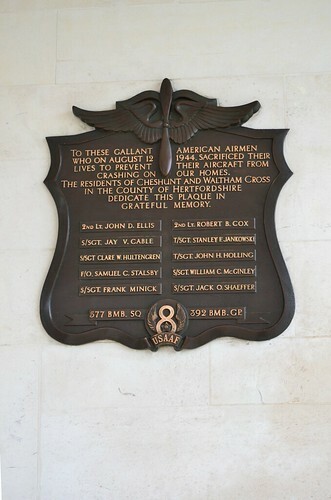 The Memorial Plaque at the American War Cemetery, Madingley, Cambridgeshire. 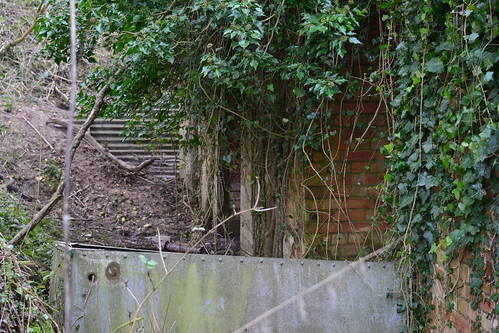 One of several bomb dump buildings now a nature reserve. A stunning memorial now stands in memory of those who served. Unfortunately when I visited Wendling, daylight ran out forcing me to make a retreat and head for home – a return visit is certainly planned for later. 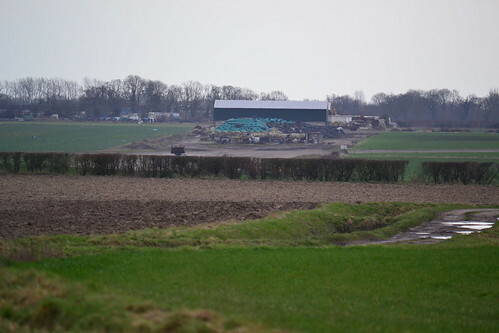 Like many other airfields in this part of the country, losses were high, and the toll on human life dramatic, both here, ‘back home’ and of course, beneath the many thousands of tons of high explosives that were dropped over occupied Europe. 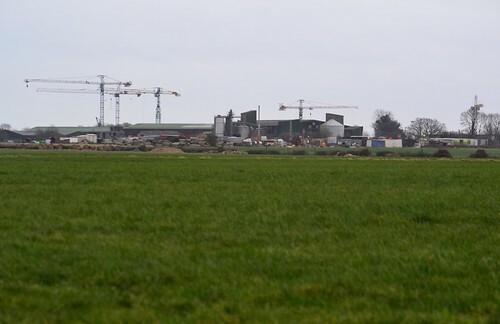 Now a high number of these sites house turkey farms, small industrial units or have simply been dug up, and forgotten. I hope, that we never forget and that they all get the honour and respect they deserve. 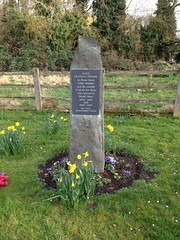 Memorial to the 392nd BG at Wendling. 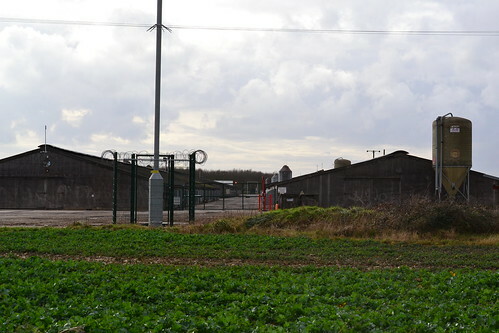 Sources and Further Reading (RAF Shipdham). Notes and further reading (RAF Wendling). *1 September 1943 saw a reorganisation of the US Eighth Air Force, and in September, the ‘Wings’ designation was changed to ‘Divisions’. Then in early 1944, a further reorganisation led to further strategic changes of the Air Force, one of which, saw the 44th and 392nd join with the 492nd to form the 14th Combat Wing, 2nd Bomb Division. 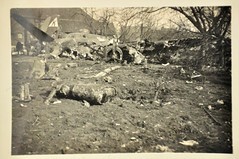 Both the 389th and the 93rd became part of the 2nd and 20th Combat Wings respectively. A detailed website covering every mission, aircraft and most crew members offers a good deal of information and supporting photographs. It is well worth a visit for further more detailed information .